I pranced around the city in this little number yesterday and it was perfect for the beautiful, but not yet super warm, spring weather! These overalls were a steal from forever 21 that were recommended to me by my roommate. I am so glad she thought of me when she saw these pink beauties! 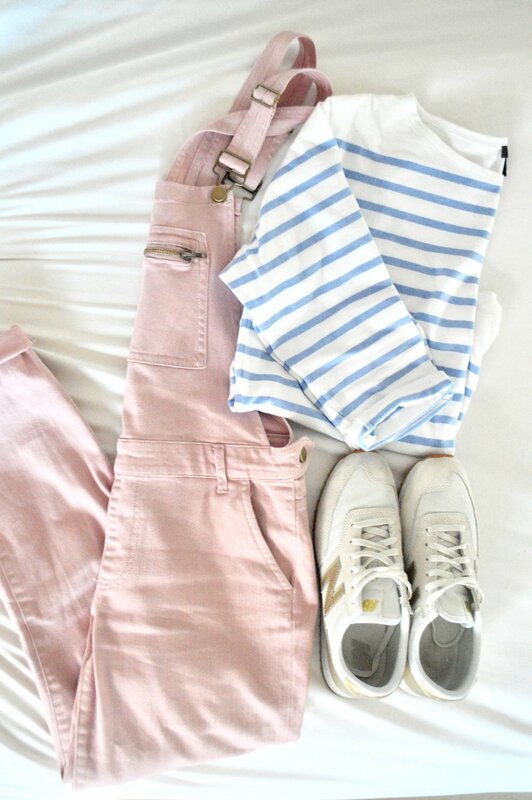 They are perfect for giving off that spring vibe with their pink, pastel color. The rest of my outfit can be found at the one and only J Crew. Shoes, shirt and ascot. I picked up this shirt and ascot on sale at J Crew the other day and am so glad I did. This shirt is super comfortable and can be dressed up or worn as a basic tee. I sized up and am wearing a size medium, for a more laid back look, I even cuffed my sleeves to give it more of baggier comfy look. Now that I am winding down with school I hope to be posting more often, I am aiming for atleast twice a week, so stay tuned for more consistent posts!